The Holiday Inn Amsterdam? Quelle Horreur! No more taxis in Paris, London or New York during daytime; hotel bills shouldn&apos;t exceed €165 a night ($211) in euro-zone countries; when not entertaining clients, restaurant meals should cost no more than €25 a head in the French capital, and flights were highly restricted, said the June 17 email, a copy of which was reviewed by The Wall Street Journal. "Anything above those spending limits will not be reimbursed or only exceptionally if the additional expenses can be duly justified, and are approved by the business division chief operating officer," reads the email, which addresses policy only for Crédit Agricole&apos;s investment-banking unit. Some in the unit say it was received with groans of despair…. Attached to the June 17 email was a table compiling spending limits for major cities. Based on those amounts, the Marriott Hotel in Amsterdam—where the cheapest room comes at €200 a night—would be out. Instead, Crédit Agricole staff might opt for the more modest Holiday Inn, located outside the city, where standard rates are below the €150-a-night cap applicable in the Dutch capital. Analysts said such measures are often more symbolic than useful in cutting costs in a significant way. At Crédit Agricole, the cutbacks were badly received, say bankers there. "It&apos;s embarrassing," said a senior Crédit Agricole investment banker. "We have to stay in hotels in the city&apos;s outskirts and waste hours in the train to go to Amsterdam or Switzerland because we can no longer fly there," he said. "If I&apos;m not taking clients out, I can barely afford an entree and a glass of wine in the evening." 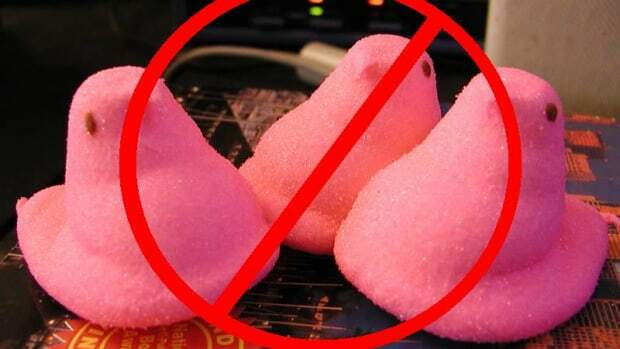 Inflation rises; Tesla falls; John Thain to fix Deutsche Bank; Peeps are for scabs; and more!